A council is being asked to endorse a string of recommendations to tackle parking issues although it has no budget to fund them at present. A working group was set up to look at problems across the Scottish Borders. It has now reported back with the council being asked to endorse all its recommendations - apart from looking at potential enforcement regimes. A report said the cost of the proposals could be up to £576,570 and added that funding was not currently available. Councillors are being advised to take the plans forward "as and when" future budgets allow. Police Scotland withdrew its traffic warden service across most of the country in 2014. 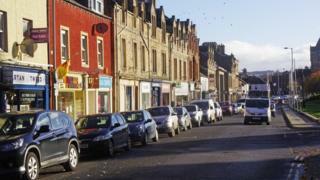 It prompted claims in the Borders of a "marked increase" in problems. Police retain responsibility for parking enforcement and a new community action team - set up last year - has given out hundreds of tickets. Scottish Borders Council agreed in November 2017 to set up the working group to look at "innovative solutions" to parking issues in the region. Its remit was approved in April last year. A report to the executive committee has advised endorsing all the proposals apart from the enforcement element. However, it added there was currently "no identified budget" for the measures and it would have to be found in years to come.